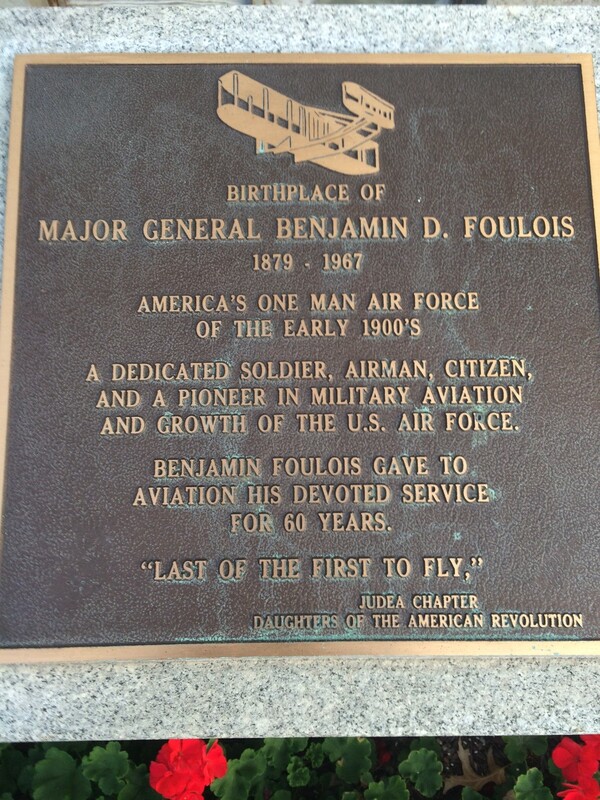 Benjamin “Benny” Foulois, a pioneer of aviation in the American military, was born on December 9, 1879, in the white building on Route 47 in Washington Depot that once housed the Washington Pharmacy. 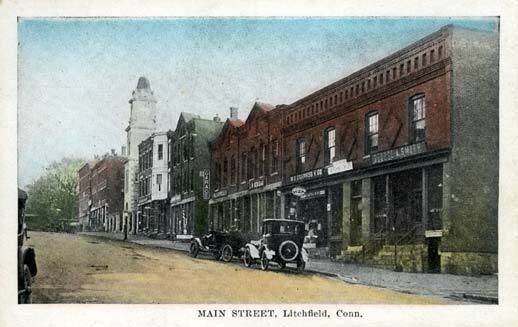 (The building is across Route 47 from The Hickory Stick Bookshop.) His mother was a nurse and his father a pipe fitter who had emigrated from France. At eighteen he enlisted in the army to serve in the Spanish-American War, serving in Puerto Rico, and spent time with American occupation forces in Cuba and the Philippines. While in the Philippines, Foulois was assigned to the Engineering Corps, where he was tasked with creating maps of the area. This led to an assignment at the army’s Signal School and an expertise in the use of dirigibles in reconnaissance. 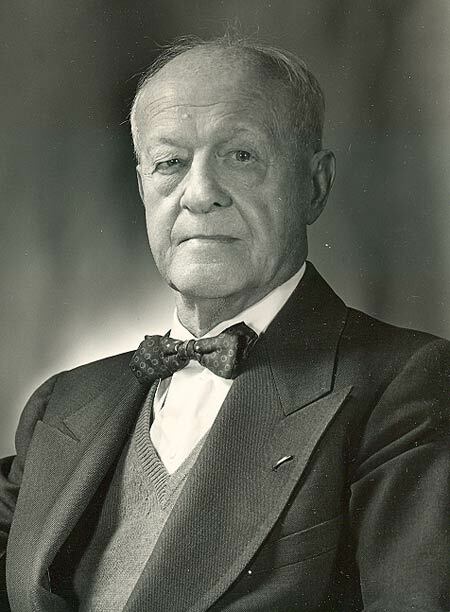 From this vantage point he predicted that airplanes would soon become the military’s main source of intelligence, a prediction which resulted in Foulois being appointed to the army’s aeronautical board. In this capacity, he was charged with evaluating aircraft for potential purchase by the army. 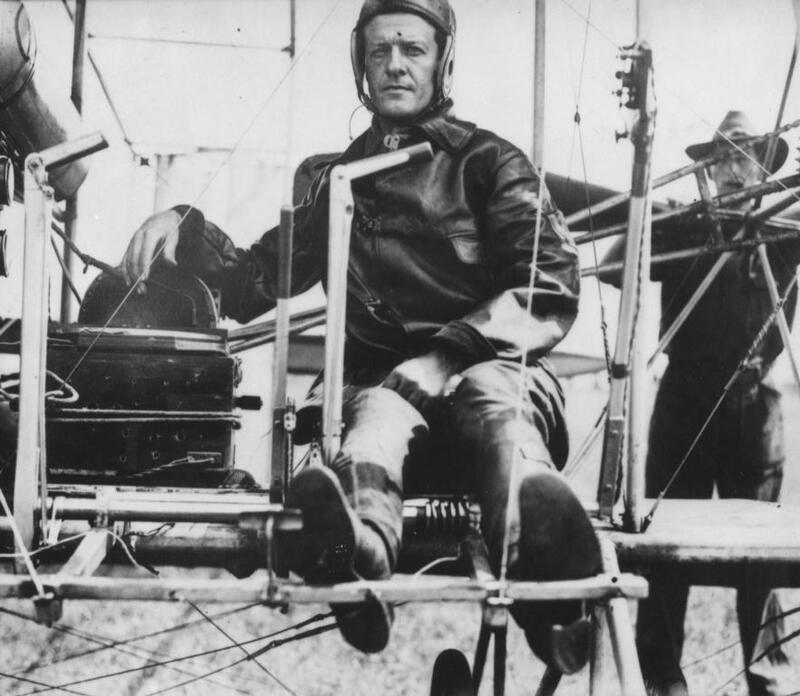 He earned a spot in the record books by serving as the navigator for Orville Wright on a July 30, 1909, flight from Fort Myer, Virginia to Alexandria, which achieved unprecedented average speed (42.5 miles per hour), altitude (400 feet) and distance cross country (10 miles). The army soon after purchased the Wright Model A Military Flyer. 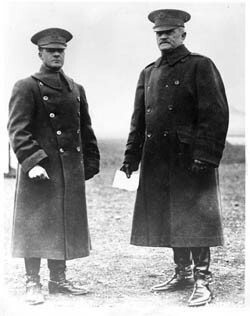 Between 1911 and 1916, Foulois served in Texas, assisting General John Pershing in his operations against the Mexican revolutionary Pancho Villa. In March 1911, Foulois and a flying partner accidentally shut off an engine, and their plane crashed into the Rio Grande. They both escaped without injury. During these operations, Foulois became the first man to conduct military intelligence operations from a plane, and the first to do so over a foreign country. 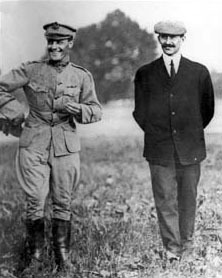 Foulois (left) with General John J. Pershing, commander of American forces in World War I.
Foulois essentially built the American air corps for World War I. With a French request for 4,500 pilots and 12,000 combat planes, Foulois oversaw the production, maintenance, organization and operations of aeronautical personnel and equipment in the United States. He ultimately oversaw a budget of $640 million and was promoted to Brigadier General. After the armistice, Foulois drafted the air clauses of the Treaty of Versailles. Sent to Germany after the war, Foulois found himself frequently discussing the potentials of air power with Hermann Goering, future commander of the Nazi Luftwaffe. Goering invited Foulois to join top German aeronautical organizations, and Foulois took advantage of this to gather enormous amounts of intelligence, which he sent back to the American government. He eventually sounded warnings about German capabilities and intent. In 1931, Foulois was promoted to Major General and named Chief of the Air Corps by Herbert Hoover, and he put into place the development of new aircraft that would eventually include the B-17 and B-24 bombers, which became the workhorses of American forces in World War II. A clash with army Chief of Staff Douglas MacArthur led to Foulois’s retirement in 1934. He offered to return to the skies for World War II if offered a combat command, but when none came he spent the war directing civil defense operations in New Jersey. In 1963, Foulois appeared on the popular television show I’ve Got a Secret, with the secret that he had once been the entire United States Air Force. He died in 1967, and is buried in his native Washington.